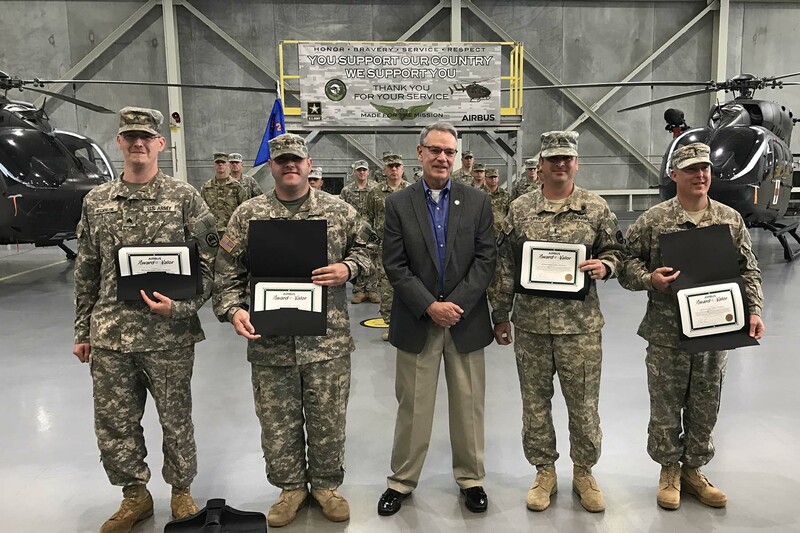 NEW ORLEANS – Louisiana National Guardsmen with the 1st Assault Helicopter Battalion, 244th Aviation Regiment were awarded the Airbus Lakota Award of Valor in Hammond, Feb. 12. On Aug. 13, 2016, during historic flooding, pilots Chief Warrant Officer 4 Dino Parmentier and Chief Warrant Officer 3 Gerard Berthelot, crew chief Sgt. Justin Smith and medic Sgt. 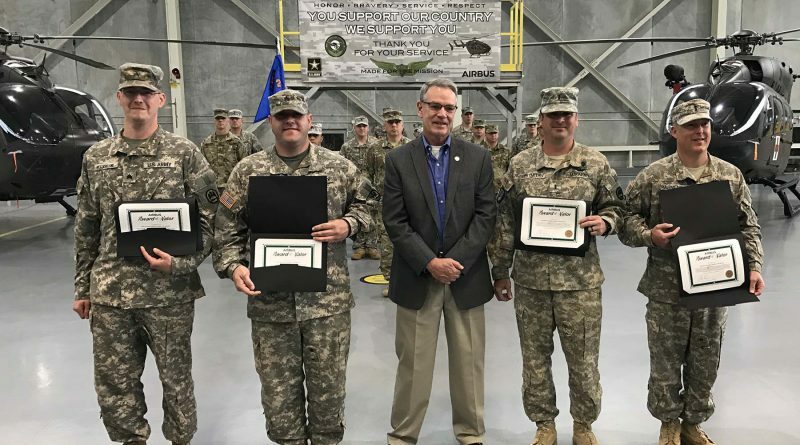 Cody Westmoreland of 1st Detachment, D Company of the 1-244th were called to rescue a man that had been clinging to a tree for hours in raging floodwaters near Amite. The flooding in August destroyed thousands of homes and displaced hundreds of thousands of people. The LANG activated approximately 1,340 Guardsmen in response to flood operations in at least 25 parishes, which included evacuations; search and rescue by vehicle, boat and helicopter; distribution and supply of water; security and shelter support; and distribution of sandbags. 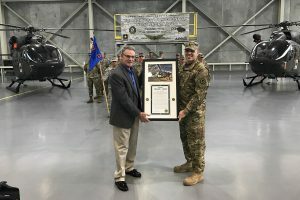 The award was given to the crew by Earl Walker, the senior director of government relations for Airbus, who builds the LUH-72 Lakota helicopter.